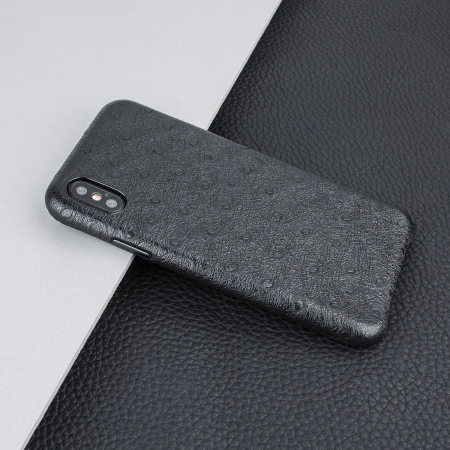 Made from premium cow leather styled upon Ostrich hide, this attractive exquisite black case from Olixar for the iPhone X provides stunning style and protection for your device in a slim, lightweight and sleek package. The Ostrich material is a different look and feel, the characteristics of the material grain (knots), give a very impressive luxurious look which is highlighted on the Black Color. 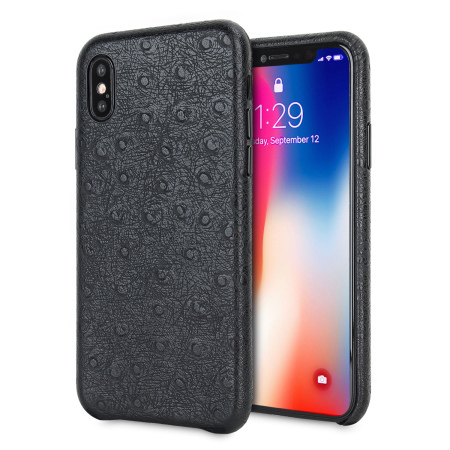 The choice for was an excellent on the go with the Apple iPhone X.
Crafted from premium leather that has been styled like Ostrich leather, this sophisticated case wraps your iPhone X in superb elegance that is a bit different from the norm. 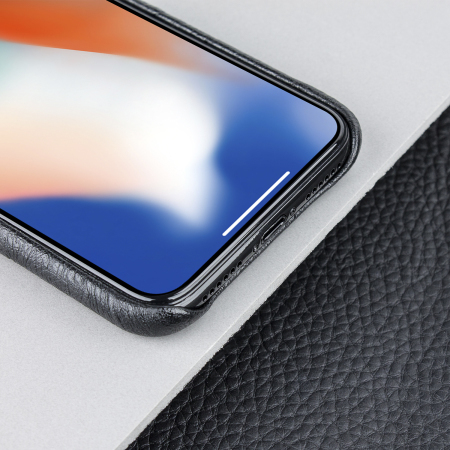 The form-fitted nature of the genuine leather case adds to and showcases the iPhone X's styling perfectly, while offering excellent protection against general day to day use. 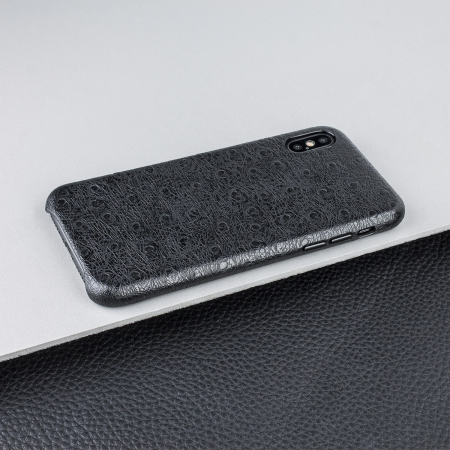 This luxurious case features genuine cow leather that has been cunningly styled to appear like Ostrich leather, further enhancing the premium design of this genuine leather case - providing a visual delight from top to bottom. The textured pattern feels great to the touch, while enhancing the overall appeal. 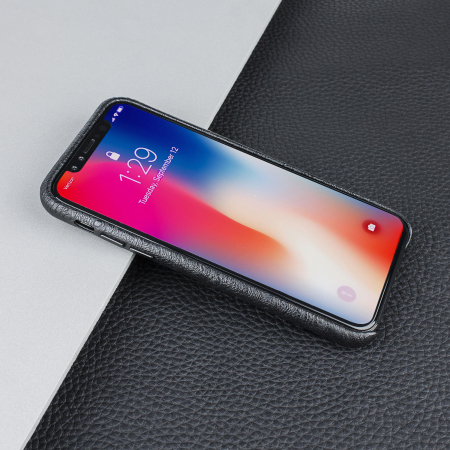 Thanks to the case's design, your phone won't have added bulk all the way around, helping to keep your iPhone X as slim and light as it was designed to be. 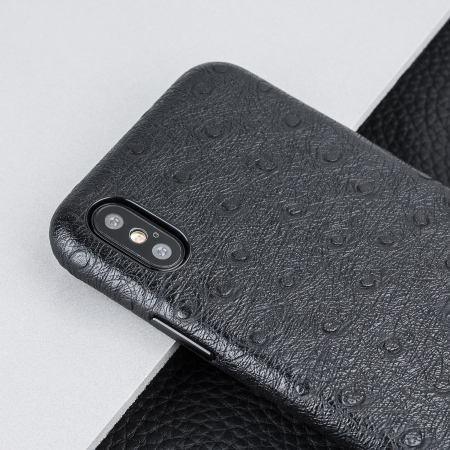 The stylish leather finish not only feels great in hand, it also provides excellent grip - reducing the risk of accidental drops and bumps. The case optimises functionality to all of the iPhone X's ports and features. 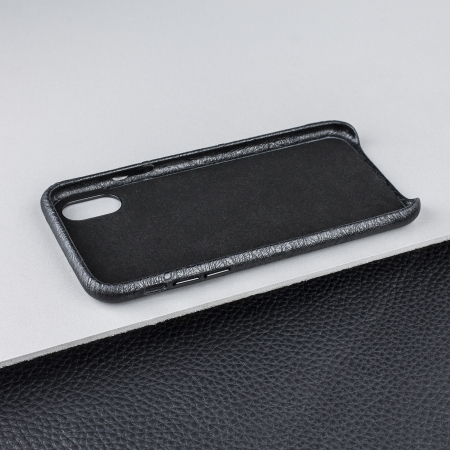 The Premium Genuine Leather case features open sections for the charging port, camera and buttons for ease of use.